On Wednesday, February 12 at 7:00pm EST, World Junior Record holder Mary Cain (@runmarycain) will participate in an AMA (Ask Me Anything) session on Reddit.com as part of the lead up to Saturday's 107th NYRR Millrose Games. Don't miss your chance to ask the reigning USA National Indoor Mile Champion your questions! 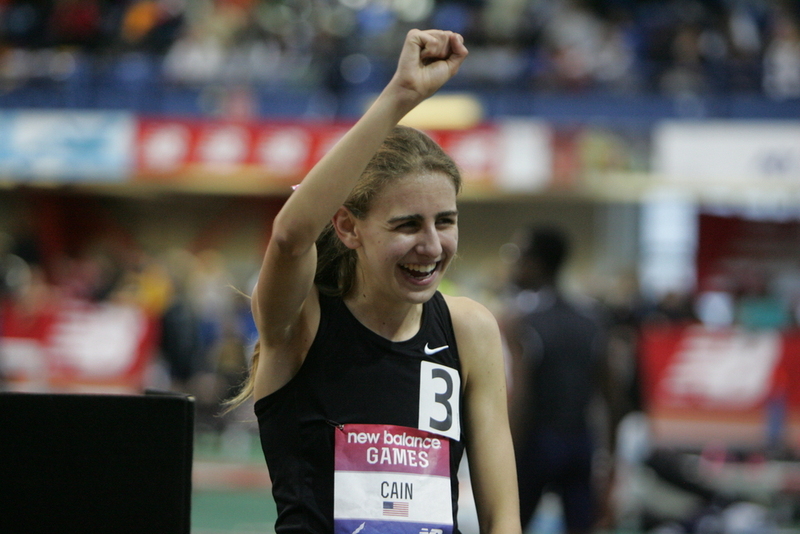 At the NYRR Millrose Games, Cain will compete in the NYRR Wanamaker Women's Mile against a world class field. Before she toes the line at The New Balance Track & Field Center at The Armory, though, the high school senior will respond to your questions on Reddit.com. An Ask Me Anything (AMA) session allows you to submit questions which Cain can respond to. Cain's AMA will begin at 7:00pm EST and conclude at 7:30pm EST. After setting the world junior record for 1000 meters last weekend in Boston, Cain returns to New York City in peak form. In the NYRR Wanamaker Women's Mile, she'll face off against twelve of the best milers in the world. Olympian Morgan Uceny and IAAF World Championships qualifiers Sarah Brown and Cory McGee are among those entered, as well as Villanova standout Emily Lipari and Nike Cross Nationals champion Alexa Efraimson. Make sure to visit NYRRMillroseGames.org, NYRR.org, and ArmoryTrack.com for all your news leading up to the 107th NYRR Millrose Games. A limited number of tickets for the NYRR Millrose Games are still available at NYRRMillroseGames.org.